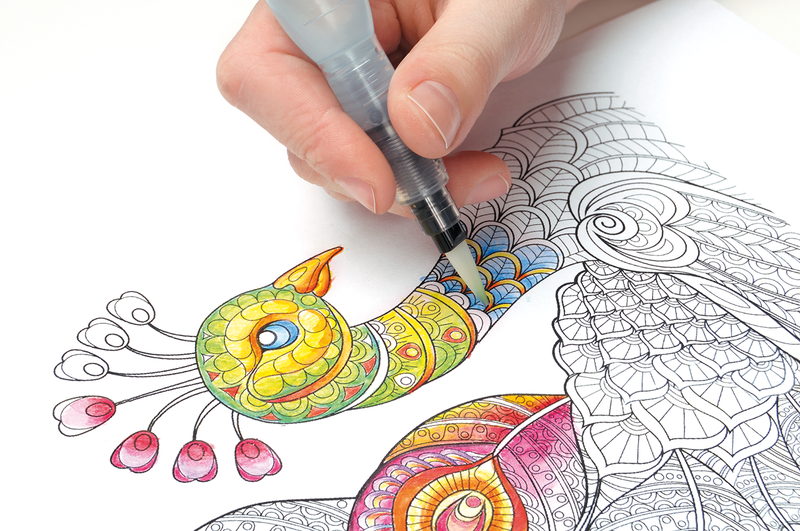 With the water-soluble crayons of Pentel you can conjure up in no time great watercolor effects! 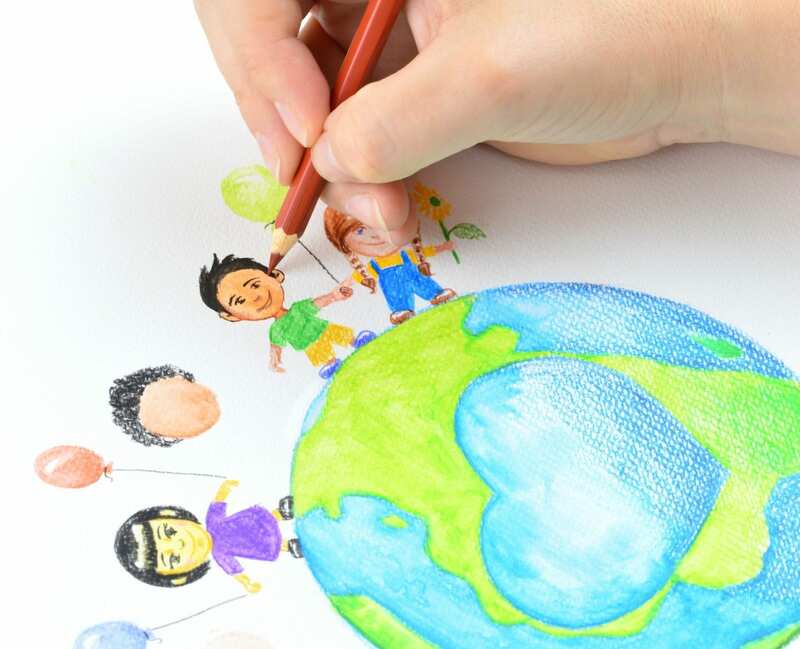 They are popular with young and old, in school and for the hobby. 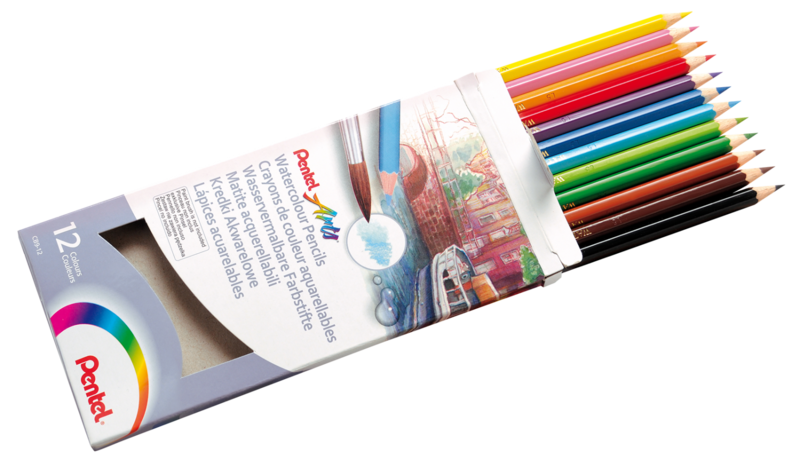 After the colors of the water-soluble Pentel Watercolor Pencils have been applied, they can be easily dissolved with water, which creates great watercolor effects. 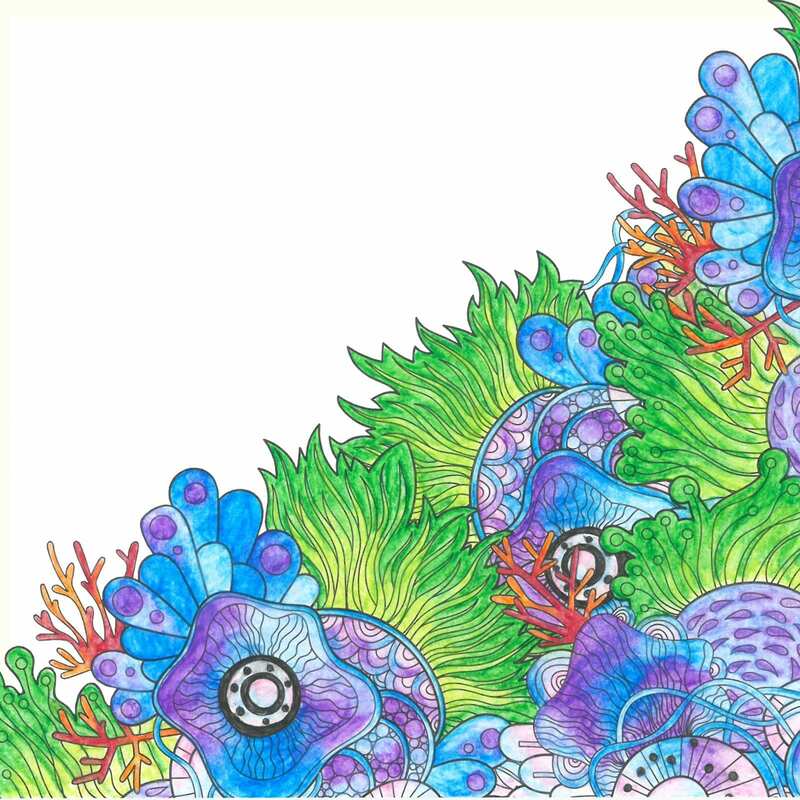 Perfect results and color transitions can be achieved in conjunction with the water tank brush Pentel Aquash Brush. 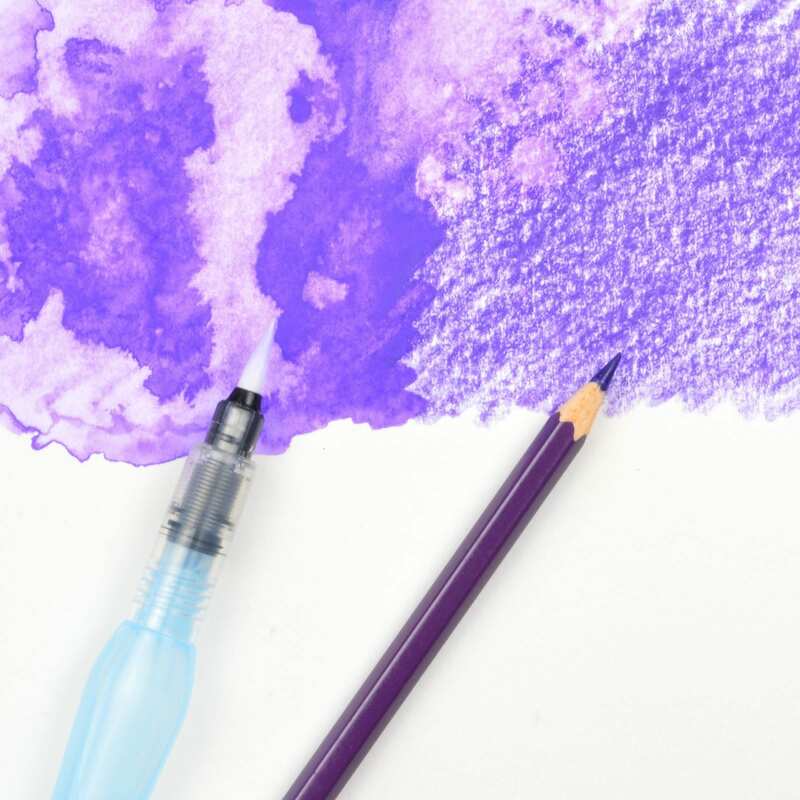 But also all other brushes can be used. 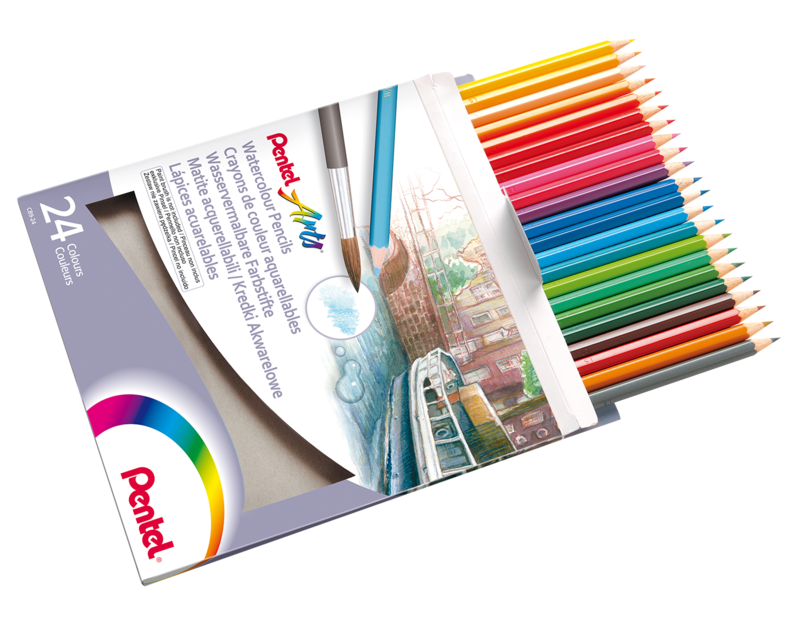 The water-soluble pencils from the Pentel Arts range are characterized by a particularly break-resistant mine and a soft application of paint. 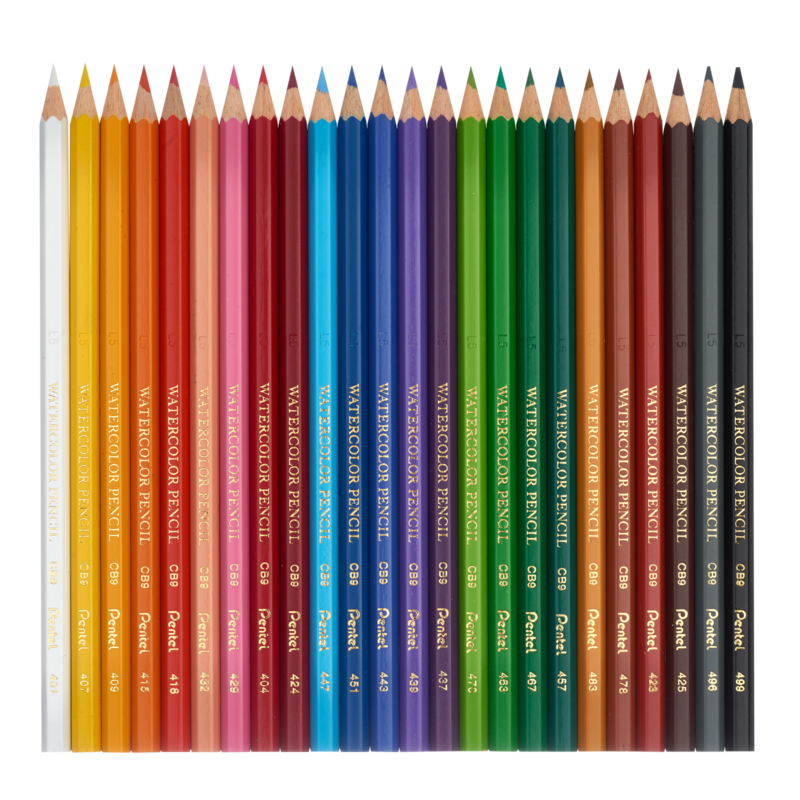 They are CE certified, made from FSC certified wood and available in a set of 12 or 24 vibrant colors.